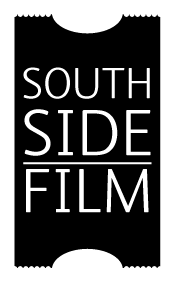 Southside Film is a volunteer run organisation that hosts an annual film festival and regular film screenings and events throughout the year. We are looking for new FOH volunteers for our late night comedy film screenings at Govanhill Baths over two weekends in March, part of Glasgow Comedy Festival. All screenings are in Govanhill Baths on 99 Calder St, Govanhill, Southside Glasgow, G42 7RA. All screenings start at 10pm and volunteer shifts will be from 9pm to midnight. Cost of taxis home/travel expenses will be covered. Volunteers on any one shift get free entry to all other screenings over the two weekends in March and opportunity to get involved in future Southside Film screenings and activities. We are looking for friendly and helpful FOH volunteers who will be able to check and take tickets, direct people into the screenings, help with any other enquires from the audience and tidy up the screening space after screenings. Experience in a previous customer service role, paid or voluntary, is desirable. Interest in cinema and filmmaking is also desirable for this role. Knowledge of Govanhill Baths and the Southside of Glasgow is preferable but not essential. Volunteers should be 18 years old or over. Please send your CV along with a note of your available dates to volunteer to Karen O’Hare at southsidefilmfest@gmail.com by 5pm on Tuesday 3 March.